BRYAN EATON/Staff Photo. 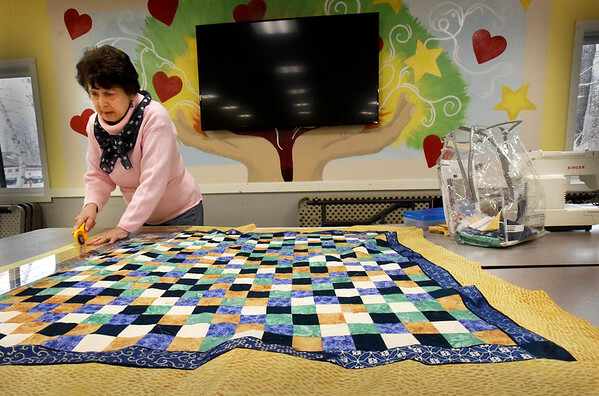 Judy Marcin of Amesbury squares off her quilt for the binding at the Hilton Senior Center in Salisbury on Tuesday afternoon. The group meets once a week to work on their quilts that they donate to local charitable organizations.